In June, I finished my first year studying at BIMM Brighton on the songwriting diploma. It was an incredible experience, in which I saw myself really develop as a songwriter, a musician and generally as a person. Reaching out of the normality, I decided not to go to my local sixth form and follow my passion and study music. Around me were so many talented musicians, tutors and people who know the industry inside out. It was surreal being surrounded by people with the same interests and dreams as you but still being able to share knowledge along the way. I have made friends with people from all across the world, of all different ages, each with their own personality and worked with them to create some amazing music and memories. During my three terms at BIMM I had some amazing experiences from writing new songs, to exploring Brighton Beach, to performing at Concorde 2 with an incredible band! Signing up to a songwriting course it was obvious that there would be writing involved but I learnt new techniques of writing, was able to co write with my classmates and got to turn my original material into a full band arrangement. 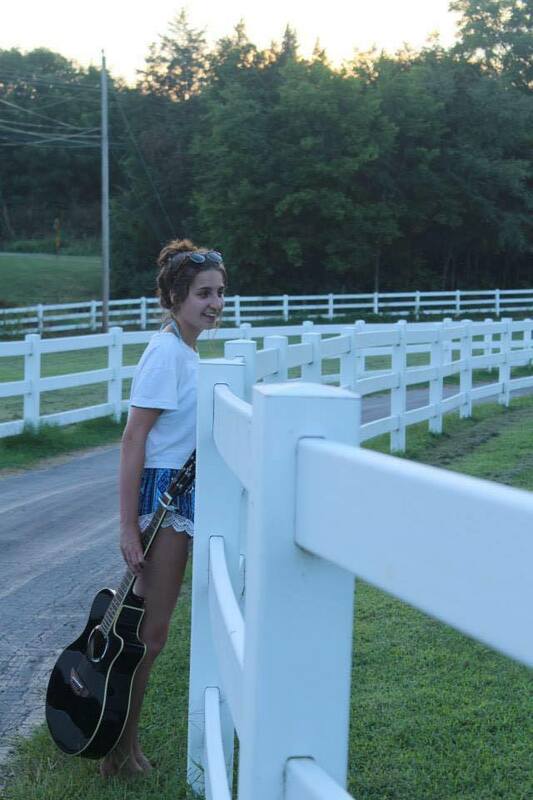 As a solo artist, it was a wonderful experience to hear what my songs would sound like fully put together. I had also never co written before, so having the chance to sit down with another songwriter and compose together was interesting and has definitely opened me up to doing more of that in the future. I feel like my songwriting has developed over the last year, as I have leant a lot more about both the basics and the more complex side of songwriting. However, it has also taught me that I am a songwriter for myself and that I do like specific ways of writing. 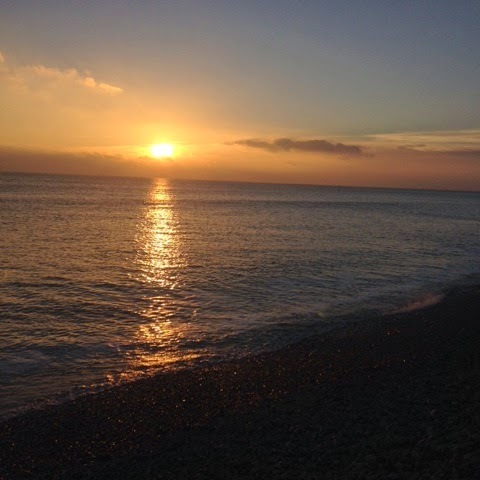 As anyone can imagine, being in Brighton can be overwhelming, from how big the city is to the extravagant surroundings and people that are in it. I stepped in not really knowing what to expect but everything was beautiful. As the weather got nicer from April time, my classmates and I would walk down to a our spot on the beach and spend that time to relax, catch up or do coursework. It made the college experience enjoyable and allowed time to de stress during essay season! The best experience that I had from BIMM was the opportunity to perform at Concorde 2 in Brighton. This is a well established venue in Brighton, which all local musicians wish to play, so for us to get the opportunity to work in bands and perform there was amazing. I got together with musicians across courses, including some from my class to transform my original song ‘Dear George’ (https://www.youtube.com/watch?v=fNbe0R3rWKo) into a full band song that would show off everyones abilities. We had a few rehearsals, and I think that the results turned out great. I really enjoyed working with new musicians and getting the chance to perform in such an incredible venue. I am really looking forward to going back to BIMM in October to study Event Management for a year. I’m sure it’ll open up even more experiences and lead me further in to the industry. This entry was posted in Uncategorized on August 17, 2016 by millymccarron. Tomorrow (Saturday 7th May), I have the honour of playing at the Louis Loves Live Charity Football Match, held at Crowborough Athletic Football Club. 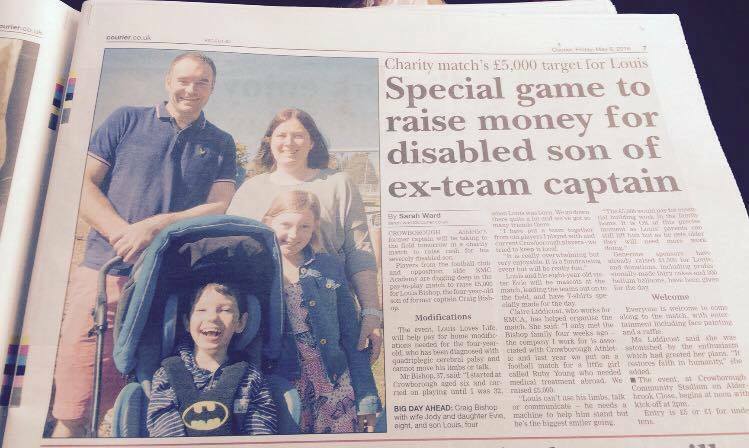 The event is raising money for Louis Bishop, a four year old boy from Crowborough, who was diagnosed with quadriplegic cerebral palsy at a young age. 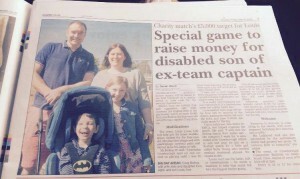 All funds raised are going directly to the Bishop family, to help them with the adaptations and building work on their family home that is needed for Louis’ day to day living. The gates open at 12.00, with kick off at 14.00. Crowborough Athletic will be playing the EMC Academy. There will be refreshments available and many money making ideas; raffle, golden goal draw, £50 board and much much more, with ALL funds raised will go directly to the Bishop family. Entry is only £5 (or £1 for under 10’s), so come along for a fun day of football, live music and money raising for Louis. I am really excited to play at this event, as it is for such a wonderful cause, so don’t miss it! This entry was posted in Uncategorized on May 6, 2016 by millymccarron. It’s been a while since I have posted any major updates, videos or news, so I thought that I would put it all together for you in one post to catch up on what’s going on at the moment! As some of you might know, I’m currently studying songwriting at BIMM in Brighton and it’s going so well! I’m now in my final term, so have a lot of assignments and songs to write and an end of year gig to prepare for at Concorde 2. As it’s coming to the end, I need to decide what I’m doing next year, whether to study a degree at BIMM or perhaps a diploma in Live Sound. It’s a big decision to make but one I’m really excited about. During the last few months some events I have played at included LooFest at The Forum in Tunbridge Wells, UKMusicLife at The Cross Keys in Tonbridge and at The Wheatsheaf in Crowborough, all of which have had great support from friends, family and general audience members. Whilst having a break from gigs, I have been doing a lot of writing and some recording. I recently went into a studio with Max to record my original song ‘Dear George’, which is currently in the process of being finally mixed. This is a song that I am really proud of and it is lovely to be able to work with my brother to bring it to life. I’m looking forward to you guys being able to hear it and it leading on to new things. I hope to, in the future, record some more songs and get them out there for you guys to listen to more original material. I hope to update the blog more often, to talk about my music life, so that you guys can get an insight of what’s going on, so keep an eye out for more posts! 2015 was a great year for my music with loads of festivals played, new songs written and a trip to music city, Nashville! I hope to continue with this excitement during 2016 and beyond, bringing you along with me every step of the way. I’d like to thank everybody reading this, watching my videos and coming to gigs for your continued support, it always means so much to have a wonderful audience! I have a gig coming up on the 24th of April at The Grey Lady in Tunbridge Wells, alongside some really talented musicians, so come along for a nice night of live music and a drink. I also recently uploaded a live version of ‘Dear George’ onto YouTube, so check that out and share with your friends! I look forward to updating you soon! This entry was posted in Uncategorized on April 17, 2016 by millymccarron. 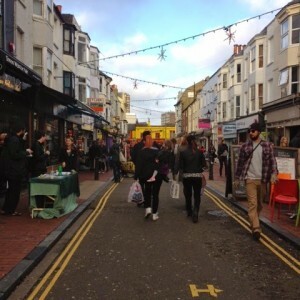 My Friday was spent amongst the people of brighton. The large town is no stranger to me, as I have ventured through the crowds of the lanes many times. However, it has been a while since I have seen a beautiful sunset in England. We walked down to the beach just in time to get a perfect capture of the sun setting over the water and take a few cheeky selfies with the orange glow in the back. For a moment I forgot that I was shivering from the cold of England’s terrible weather and felt like I was back in Turkey, where there would be an incredible picture opportunity every night. My favourite part of Brighton has to be the lanes. The atmosphere all around them is electric and having so many vintage shops squeezed together is adorable. You can’t walk down a single lane without being drawn to something in a window or even the multiple stalls lined outside the shops. Buskers fill the streets with music, graffiti covers the walls, leaving you wondering how people can create such a thing. It’s honestly beautiful. You can buy just about anything in the lanes..you name it, one of the shops is likely to have it. Going there with plans not to buy anything will fail, as you get drawn in by the guitar siting in the window or the gorgeous floral dress hanging by itself. As well as there being the lanes, the shopping centre also attracts many people with the big brand stores lined up. There’s such a variety of shops, something for everyone. Brighton consists of some of the best views in England as well as having the incredible shops and cafes to go a long with it. I can’t wait to be spending more time there over the next few years and get inspiration for writing.. This entry was posted in Blog on August 26, 2015 by millymccarron. 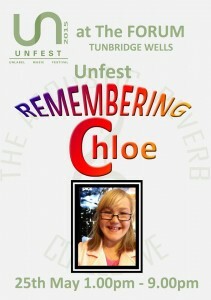 This entry was posted in Blog and tagged Milly McCarron, Poofest, Remembering Chloe, Tunbridge Wells, UNfest on May 29, 2015 by millymccarron.